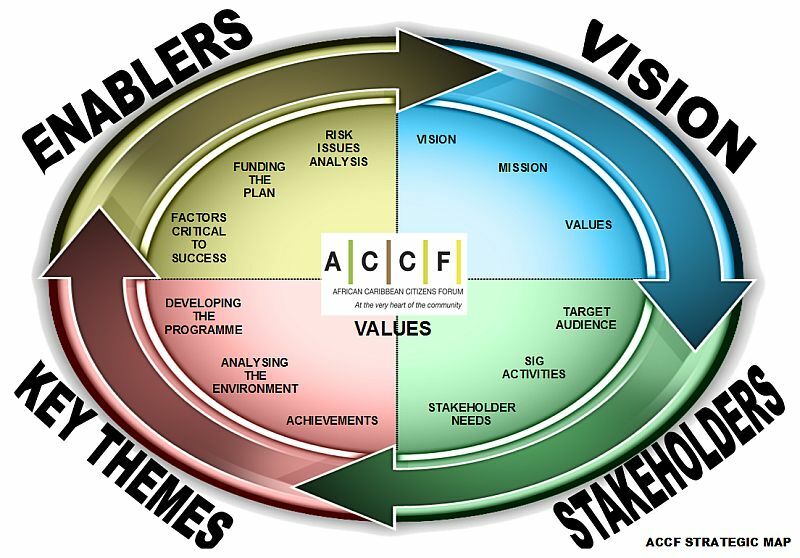 The African Caribbean Citizens Forum (ACCF) were part way through their operating year and wished to undertake a review and revision of their corporate and organisational plans to ensure they were consistent with the future direction of the organisation. The strategic planning methodology employed developed by Cass Business School’s Centre for Charity Effectiveness. In developing the Strategic Plan for the organisation we held various organisational development workshops with the management team and involved creating a new vision, mission alongside the final strategy document. The following plan highlights the stages involved. A Strategic Plan was developed and adopted by the Management Committee. 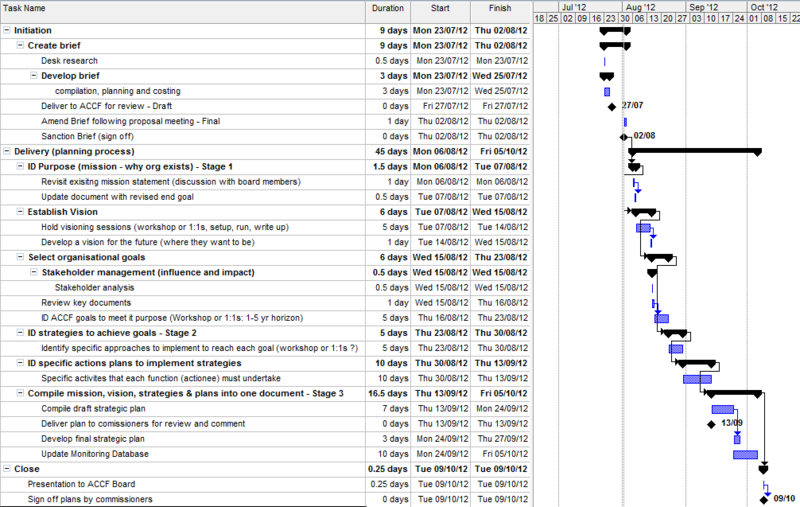 We developed a Workstream Tracking spreadsheet for monitoring progress of the plan. Skills Employed: Strategic management, Project management.